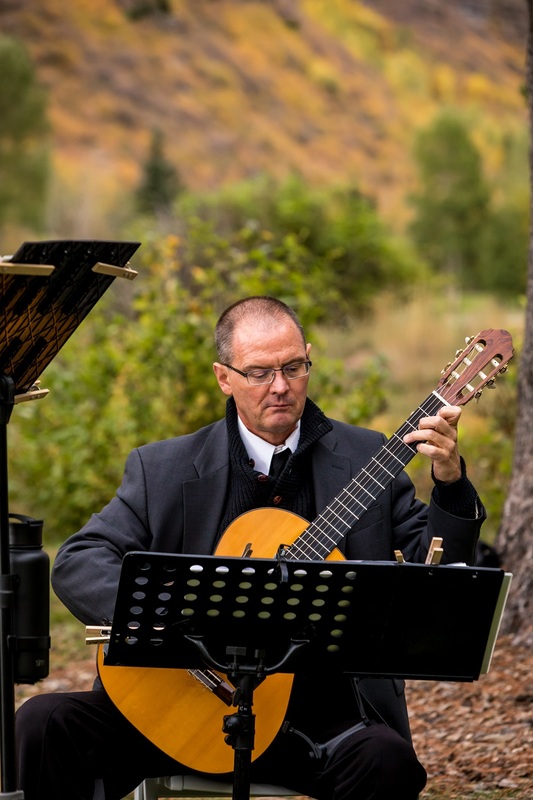 It was a cold and blustery February afternoon in Denver, Colorado on the day that my flute and string trio played for this winter wedding ceremony. Inside the luxurious Brown Palace it was like a different world, and the perfect setting for an incredibly romantic wedding. 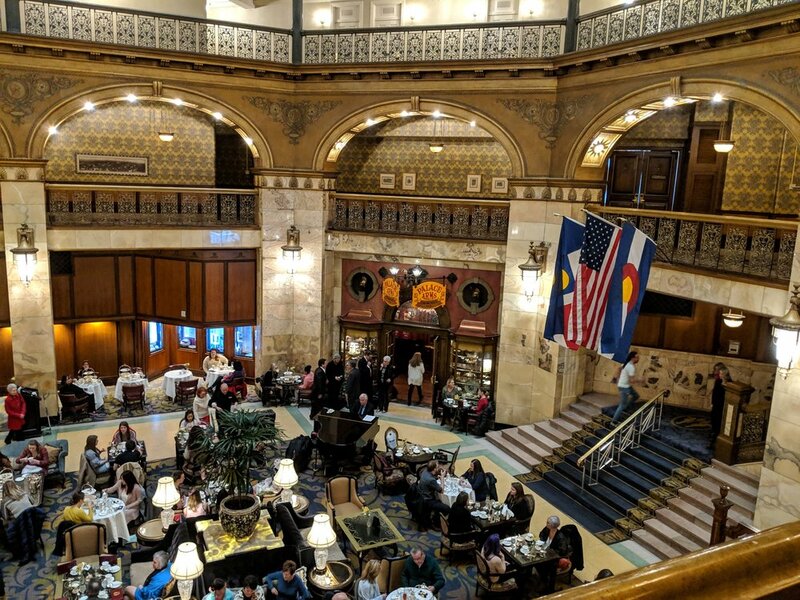 The elegant stained glass windows made the room into a sanctuary and blocked out the gusty winter winds and bustling city sounds from downtown Denver. Our trio played classical music and set the mood as guests arrived. During the ceremony, the bride’s mother sung the Jewish wedding blessings in Hebrew, and a feeling of perfect peace filled the room. The ceremony was lovely to watch, and I never tire of seeing two people who are obviously soul mates joined together in marriage. Afterwards, it was time for everyone to feast, and we played lively modern music as everyone ate. The groom was so fun to work with, and very interested in every aspect of the music, so I enjoyed putting together a great custom set list to keep everyone celebrating throughout the evening. Everyone enjoyed our music so much that they clapped for us in between songs. We also had the opportunity to play two first dance songs, and we accompanied the vocals and guitar music with flute and strings. We played “To Make You Feel My Love” and “This I Promise You” and it was a beautiful moment. We finished playing the dinner music with one of the groom’s favorite songs - a rousing rendition of the “Star Wars” theme! Then I got a request to play the theme from Jurassic Park, which I did briefly, to everyone’s delight. Hire us to play for your wedding ceremony and cocktail hour, dinner, and reception. It’s not only very convenient but we also have a large repertoire of classical and modern music to keep your guests celebrating all night. Experience the Elegance of the Flute and Strings for your Wedding Ceremony, Cocktail Hour, and Reception! 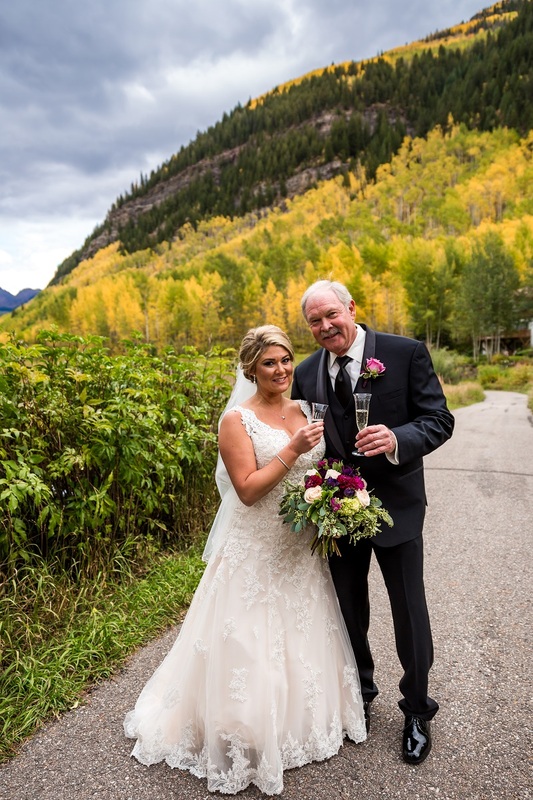 It was the first day of autumn when my guitarist and I headed down to Vail, Colorado to play for a wedding ceremony and cocktail hour. 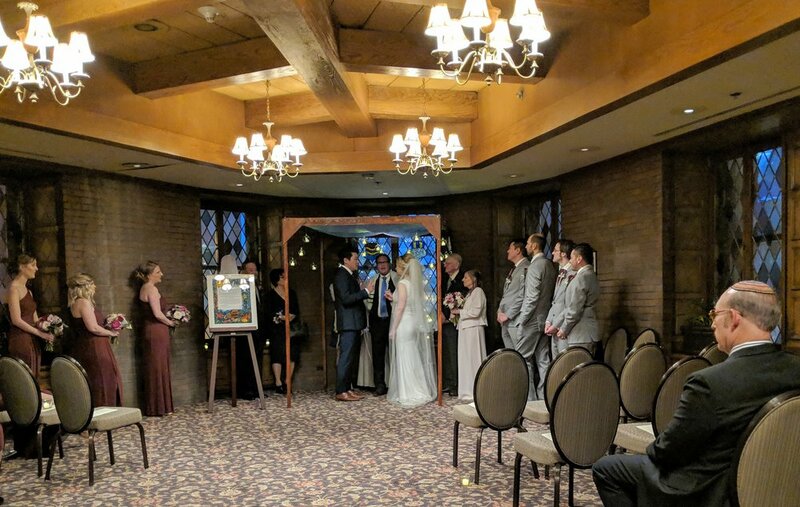 The ceremony was held at the Vail Wedding Island, and the cocktail hour was held on the covered patio of the Vail Golf Clubhouse. Fall decided to come swiftly on its first day with a rainy cold front, and our drive across the mountains was interspersed with heavy rain showers. We hoped that the weather wouldn't stop the couple from having the beautiful wedding of their dreams. When we arrived, the sun peered through the clouds just long enough for me to get several photos of the changing Aspen trees, glowing in their golden glory of peak season. We played prelude music on the wedding island and braved the weather, brightening up the gloomy and rainy day with our cheerful flute and guitar music. It did rain on us, but we each brought instruments that could take a little rain, so we kept playing. The rain stopped just as the bride was about to walk down the aisle, but the wind gusted so strong that while she was walking, it tore her veil right from her head! She burst into a fit of laughter and it was contagious and soon everyone was laughing. We kept playing the bride's walking song and after about a minute, she completed her walk down the aisle and was happily married. The sun shone brightly through the clouds just as the couple was presented as husband and wife. After the ceremony, we moved to the covered and heated patio of the clubhouse, and we warmed up as we played upbeat contemporary and jazz tunes while the guests enjoyed hous d'ouvres and cocktails. I brought my top of the line Bose L1 sound system and our sound carried beautifully throughout the space. We even got a special music request and I Googled the sheet music on my cell phone. We played it, but music was very tiny! Copyright 2019 Flute and Strings by Christen Stephens, Ltd.